Google search is the gateway of information to the millions of users who use the world wide web everyday . we all use it for finding information related to our day to day requirements . ranging from computers to health and even more , information on everything can accessed via Google search with just a click . 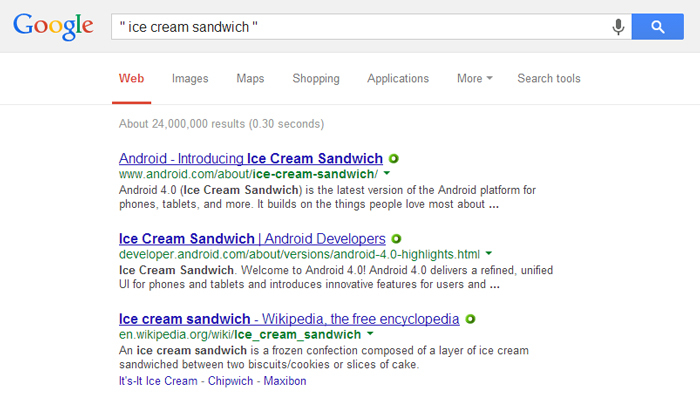 Like everything else , Google search has a few basic and advanced features which go unnoticed by everyone . here is a list of 10 such Advanced Google search tips that will help you to use Google search more effectively . Google Search Tip #1 : Google search results vary for every country , so if you are looking for a information from a specific country , always use the country specific Google search domains to search for information . Same search term but different results . Google Search Tip #2 : Its a very less known fact which you should be aware of , If you are logged into your Google account on a web browser , Google automatically stores all your search history on its servers . 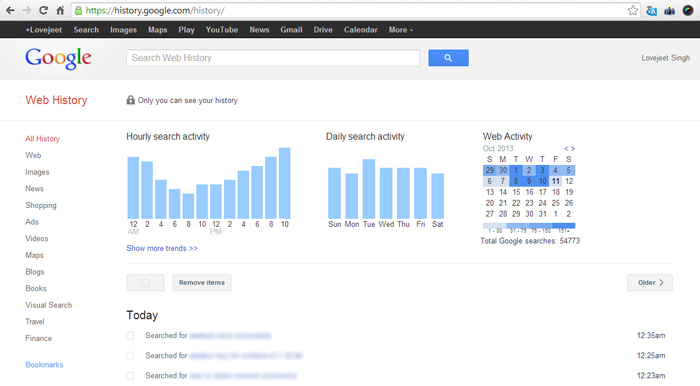 If you accidentally delete any search history from your web browser , you can head over to Google.com/history and check your web history . Google Search Tip #3 : Use Google’s advanced search to get more control of the search results you want to see .Head over Google.com/advanced_search to perform an advanced search on Google . 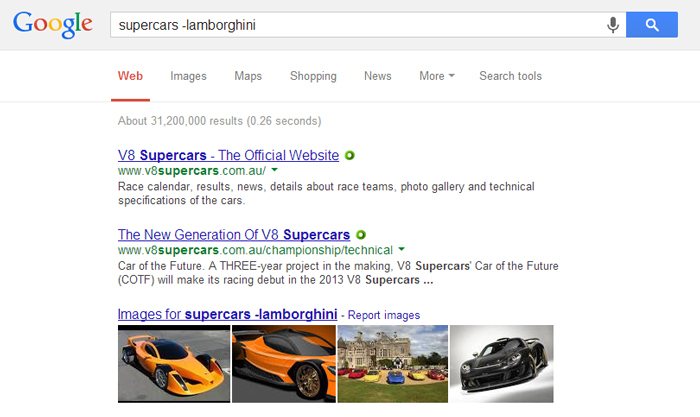 Google Search Tip #4 : To search with an exact phrase use , put quotation marks around the search terms . Google Search Tip #5 : Don’t worry about punctuation’s, search engines always ignore most punctuation like ? !,.%^*()\,, in your search phrase . Google Search Tip #6 : You can even use any images to search through Google search , Just head over to images.Google.com and click on the camera icon to select an image from you PC and Google will find out all the similar images . This process is known as Reverse image search . Google Search Tip #7 : Google search allows you to search by your voice , just head over to Google.com and click on the microphone icon inside the search bar and record your query . Google Search Tip #8 : If you want to ignore any specific word or term from Google search , then type your search team followed by the term you want to ignore and add the “ – “ symbol before it . Google Search Tip #9 : Always search using the simplest words or terms , smaller terms are much more effective in Google search than a broader term . 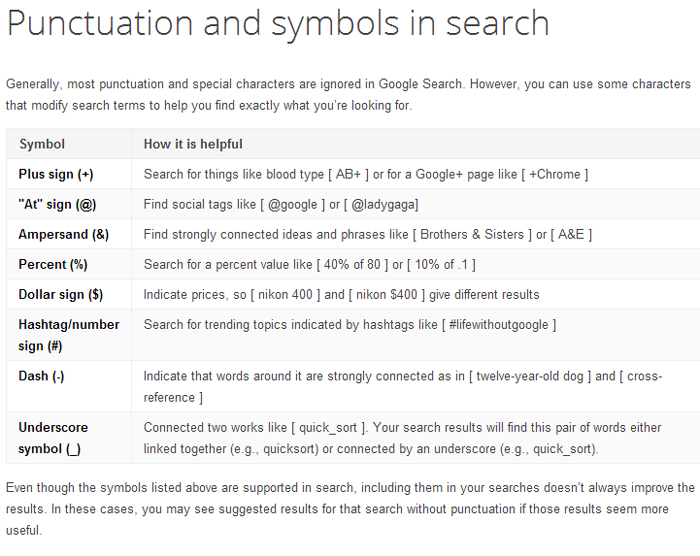 Google Search Tip #10 : Use these punctuation whenever possible to get more control of Google search .Here is the entire list of Punctuations that can be used with Google search . Google Search Tip #11 : Use these search operators to get more control over Google search . Find out more about the various Google search operators .